On this episode of Dugout Blues, Jared is sick, so you get the “pleasure” of a Dustin solo adventure. Apologies in advance. Since our last recording, there have actually been a couple moves in Dodger land. First, the Dodgers reacquired Russell Martin from the Blue Jays for Ronny Brito and Andrew Sopko. He’s not costing the Dodgers anything on the luxury tax and they could do worse for a backup catcher … I guess. I also touch on the J.T. Realmuto trade rumors that won’t ever die. He still could make some sense for the Dodgers, if the price is right. The Dodgers also signed former Diamondback A.J. Pollock to what is, essentially, a 5-year, $60 million deal. Sure, why not. I mean, he’s a good player, but they gave him a 5-year deal and he has topped 500 plate appearances in his career just once. It also recreates the outfield logjam, as Cody Bellinger is probably shifting to left field (primarily). With Alex Verdugo in right field (and he should get a chance to play full-time), Joc Pederson is the odd man out. 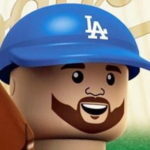 Sure, Max Muncy can play a little second base, but do you really want that? Maybe that’s why Pederson’s name has come up in trade rumors with the White Sox, Braves and a couple other teams. He mashes righties and should be plenty affordable for a team like the White Sox. If they add him and sign Manny Machado, they’ll have had a nice little offseason. We’ll see what happens, but I can’t really see the Dodgers keeping Pederson after signing Pollock. I also take a look at Baseball Prospectus’ Top 10 Dodgers’ prospects. It’s a strong list, with Dustin May checking in at No. 2. I go over each of the Top 10, which also includes Josiah Gray. There were a number of Top 100s released, but I figure we’d wait until Jared was back to talk about that.